"Dr Moskowitz recognized my AFib Heart problem. Awesome doctor." "My Doctor Moskowitz is so very kind and understanding." "Doctor Moskowitz is a A1 physician." "Dr. Moskowitz is always professional, deliberate in his diagnosis and listens to my concerns." "Already have recommended to friends." "Dr. Moskowitz was very thorough and caring. He made accommodations for my husband's disability of being in a wheelchair. He arranged for x-ray at home too." "I have been Dr Moskowits for over 15 years and rely on his experience and judgement"
"Dr. Moskowitz is the perfect blend of a professionally caring, yet friendly doctor - a true find!" "Dr. Michael Dubin was my doctor for many years. 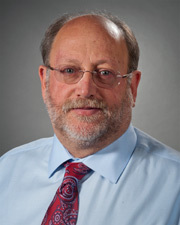 When he retired - Dr. Martin Moskowitz is now my primary doctor." "I have been a patient of Dr. Moskowitz for over 20 years and his demeanor is always _____ and concerned. " "Wish you could send them all down to Florida where I live most of the year!" "Dr. Moskowitz makes you feel calm. I was concerned that my asthma will come back soon because it pops up when the weather is cold. He told me what I should do and what he was going to do to avoid that (preventative measures), and he did it in a calm, gentle way. He is smart, yet doesn't talk over your head and I feel extremely comfortable with him. I am confident that this will be my best winter ever because of him." "Dr Moskowitz is a really good doctor and I would recommend my family members to see him. Thank you for taking the time to see me." "Dr. Moskowitz is truly an asset to Northwell Health." "Dr. Moskowitz is a concerned & attentive provider - Always available to help when I need it." "Dr. Moskowitz was able to see previous diagnostic tests and compare them to current x-ray. He explained what he was seeing and helped create a picture of the problem and where to to from here." "Very caring and attentive to health concerns." "This Dr. helped my asthma condition and I am very grateful." "I work at Glen Cove Hospital and every time I see Dr. Moskowitz he asks how I'm doing with genuine concern." "I already have recommended this doctor to others. My daughter goes to him as well." "Dr. M. has always been a good listener & excellent diagnostician." "Dr. Moskowitz is - a very compassionate dr."
"I was very impressed with Dr. Moskowitz." "Dr. M is very thoughtful and thorough."